Mill Hill East station is on the High Barnet branch of the Northern Line, and is the only station on a branch from Finchley Central. Mill Hill East station was built by the Edgware, Highgate and London Railway (EH&LR) and was opened as Mill Hill on 22 August 1867 by the Great Northern Railway (GNR) (which had taken over the EH&LR) in rural Middlesex. 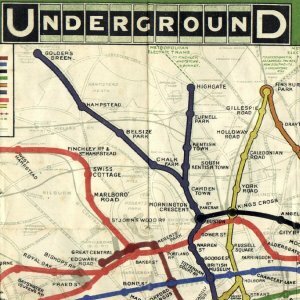 The station was on a line from Finsbury Park to Edgware via Highgate. 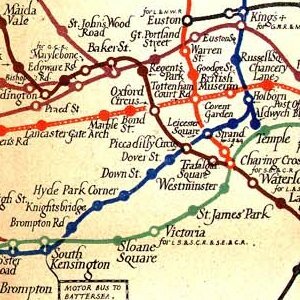 The EH&LR was built as a double track formation, but only a single track was laid, with the intention of doubling the track when business developed. 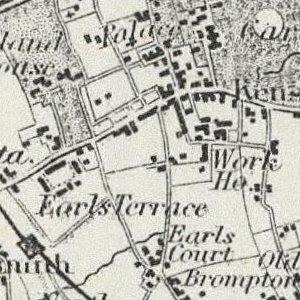 However, when the GNR opened a branch from Finchley Central to High Barnet in April 1872 traffic on that section was greater, and the second track was never laid from Finchley Central to Edgware. For most of its history the service between those two stations was operated as a shuttle. The station opened as Mill Hill and was given its present name in 1928. 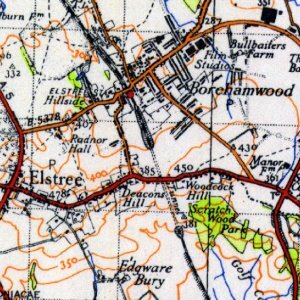 The area around Mill Hill East has still the air of a village about it. It is quiet and very green with plenty of parks and golf courses to hand. Parts of the eastern side of Mill Hill have recently undergone redevelopment, with the old gas works replaced by a Waitrose supermarket and housing developments. The small local retail area at Mill Hill East is at “Kelly’s Corner” (officially Holders Hill Circus) east of the station. 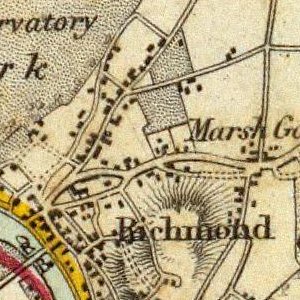 To the south of Mill Hill East are Copthall and Holders Hill. 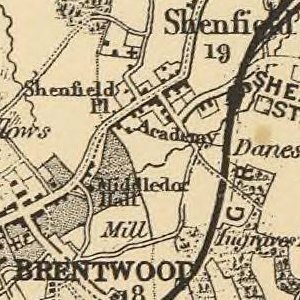 The United Kingdom / Carl Zeiss / Bausch & Lomb Optical Works was established at Mill Hill East in 1912 and demolished in about 1990, to be replaced by a large building owned by the Jehovah Witnesses, to complement their nearby Watchtower House built on the site of the former Bittacy House. 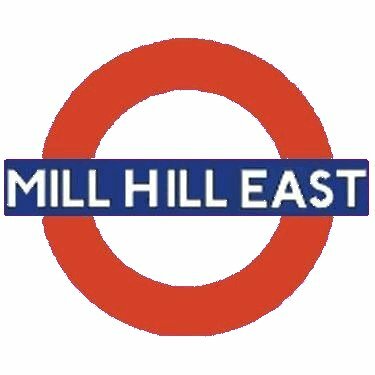 Mill Hill East is the least used station on the Northern Line with only 10,000 passengers per week.